A white paper presented by United Parcel Service (UPS) this month, suggests that China's manufacturing sector could further improve its performance through developing a diversified customer base, attaching more importance to logistics, and selling less unfinished goods than finished ones. The report, presented in Shanghai by Richard Loi, president of UPS China, said that: "Chinese export manufacturers should learn from industrial leaders who have implemented successful strategies to achieve better business performance and growth." The report noted that Chinese export manufacturers are facing challenges from both demand and supply: two of the most commonly-cited challenges are increasing competition from Chinese companies and decreasing demand from Chinese customers. "Against a backdrop of intensifying pressures in China, it is clearer now than before that the future survival and success of export manufacturers would depend on their willingness to make changes to the way they do business," said Loi. But he also ruled out price cuts as the optimal solution to remain competitive. Instead, higher quality products, showing an understanding of the customers' business and offering a faster and more efficient supply chain are the top reasons for customers to switch suppliers, he said. 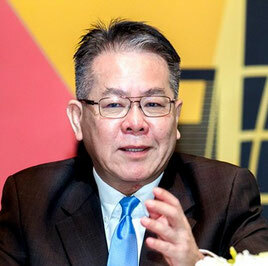 "There is a need to shift from low prices to offering higher quality products and adding value by building a closer partnership with customers," Loi said. Export manufacturers are more pessimistic than before, with 29% of the companies saying the economy is worse compared with 16% in 2014. A total of 1,000 senior decision-makers in export manufacturing companies across China were interviewed for the report.